The Ordinary Life of an Extraordinary Girl: Funny where life takes you. The following article was in the Aspen Times today. One note, I try to always use people first language, i.e people with disabilities, not disabled people. Somehow this did not come across in the article. 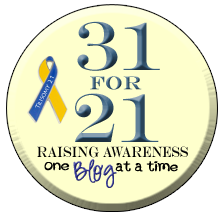 But, it's all about awareness and this is a good start! ﻿Aspen artist Win Charles sells her handmade greeting cards at the Aspen Saturday Market. Charles, and Max Grange (in background), were among the Valley Life forAll advocates at the market, helping educate people about the new nonprofit and the valley's disabled community. The reason behind this goal is simple, though. 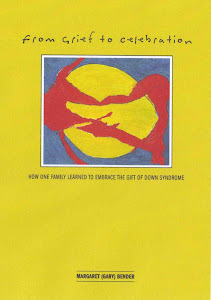 But Bender — who has been a fierce advocate for Alex, her teenage daughter who has Down syndrome, as well as the disabled community as a whole — said there is actually a great divide in the Roaring Fork Valley and beyond. Katie Grange, a longtime local and mother of 23-year-old Max, who grew up severely disabled in Aspen, agrees. In particular, she found a huge drop-off in services and outlets for Max once he left the public school system. So when Bender and Grange connected, their mission quickly become clear. More specifically, VLFA organizers focus on four core areas of concern: attitudes and awareness; career and recreational opportunities; housing and transportation; and respite, families in isolation that need support. But it is perhaps the first area of concern that will have the most impact, VLFA organizers agreed. Among the ways VLFA is tackling the problem is outreach. 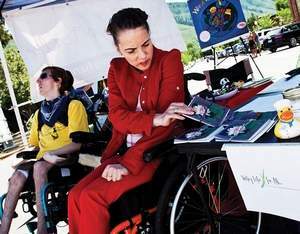 For example, a couple of VLFA self-advocates — disabled people creating opportunities for themselves and others — worked at last week's Aspen Saturday Market. They will return in September to sell their wares and share their stories. Also on Saturday, VLFA partnered with Raising a Reader, another local nonprofit, by having self-advocates read stories to children as they visited the booth. “We want people to know these are people just like everyone else; we want to share the gifts they have,” Grange said, explaining that other connections the fledgling nonprofit has made include partnerships with the Snowmass Recreation Center, participation in the Aspen Area Community Plan process, and the beginnings of a website that will include a calendar of events, list of service providers and information for and about the valley's disabled community. Excellent article! Hope they sold a lot of cards at the market!